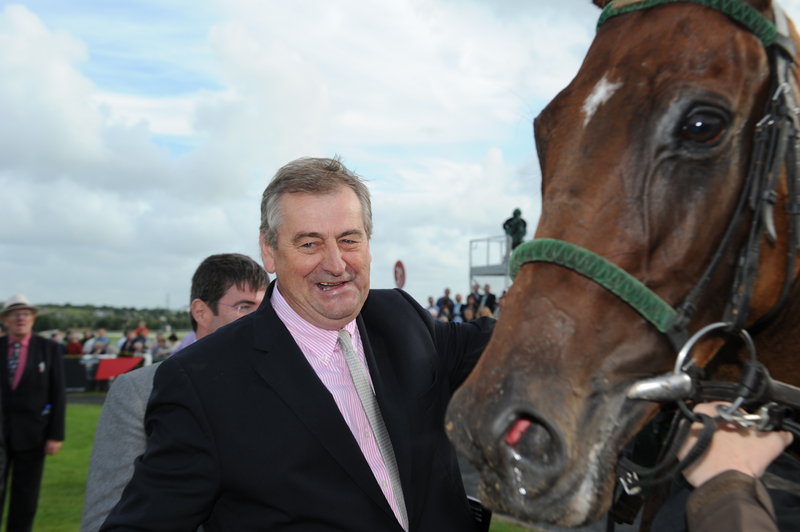 Noel Meade admits the entry he has given Super Follo in the baroneracing.com Royal Bond Novice Hurdle is as yet purely speculative. A winning point-to-pointer, Super Follo changed hands for £150,000 but has not been seen since May 2016. “He’s a horse we gave a lot of money for,” said Meade. “He looked like a very decent pointer when we bought him. “He missed a season with a small problem, and then last year we had to leave him off again. Meade has also entered Daly Tiger, a bumper winner who was second over hurdles, in the Royal Bond at Fairyhouse on December 2. “He won his bumper and looked a very sharp horse – but when he ran in his hurdle race, he disappointed us,” said Meade. “The decision was made then to leave him. He’s quite a fast horse, so two miles will suit him well. Meade could also run recent winner Brace Yourself. Willie Mullins is well represented with the likes of Annamix, Blackbow, Relegate and Mister Blue Sky among the 39 possibles.